Our society has become addicted to negativity and an acceptance of a dystopian future. So much so, that thinking positively has become frowned upon as unrealistic in many "educated" circles." Daily we hear our politicians and media take legitimate threats that exist in the world - always have and always will - and magnify them into huge boogey-men in our collective psychological closet. Terrorism, climate change, pandemics are all legitimate concerns that we need to find ways to deal with. However, any reasonable person must conclude that they are being greatly over-blown to create a climate of fear that disables, disempowers, and frightens broad sections of the population into paralysis. This world paradigm is slowly seeping into many aspects of our own thinking and we must be vigilant about it. I was in a store the other night and saw two very young brothers laughing and having a good time. I was suddenly struck by the fact that, if we allow it, these children are going to grow up seeing this world as a dark and dangerous place with terrorists around every corner and a belief that the freedom of the individual is an expendable commodity jettisoned at the first sign of threat - real or perceived. 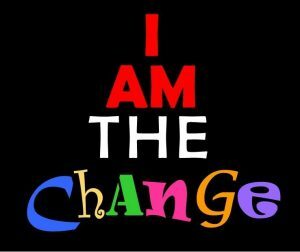 My own view is that the “powers that be” in this world smell the change being created by communities - particularly online communities. They recognize that the top-down, highly centralized systems they have created and propagated are becoming irrelevant in a world where awake, conscious individuals can communicate and share information around the globe in milliseconds. They recognize, perhaps more clearly than we, that an evolved, empowered humanity will never stand for decision making to remain in the hands of the few. And so, they are holding their power in a white-knuckled death grip although they know it must eventually slip away. I believe their strategy is to keep as many as possible afraid, disempowered, and disinterested for as long as possible. Fear is their weapon of desperation and last resort. In the hands of the unscrupulous, fear manifests into The War on Terror and the Global Warming hype. Real issues transform into monsters designed to send the people running to their leaders for protection. It is an age-old formula and it continues to work. I came up with a new word today that speaks to the positive direction I am moving in my life and would like to see the world move. The word is posidigm (positive + paradigm). I searched for the term on all the major search engines and could not find a reference to it, so I am just going to claim it. Positive - “emphasizing what is laudable, hopeful, or to the good; constructive: a positive attitude toward the future; positive things to say about a painting. “emphasizing a hopeful, good, or constructive set of assumptions, concepts, values, and practices that constitute your way of looking at reality. Our planet and our species face real challenges in the coming decades and centuries. We have to face our challenges honestly, see through the chicanery, and build a new posidigm. This posidigm must admit its own blindspots and not see the world through unrealistically rose-colored glasses. Its power will come from this honesty and its more positive view of our future and potential as individuals and as a species. I am a big believer in postive thinking. I know for an absolute fact that, if tomorrow six billion people on this planet demanded peace, justice, or freedom we would have it. Work hard this week (and it is hard work) to stay positive about your path and about the world. Slowly but surely we can undo what is happening and bring this world to a better place. This week when someone asks you how you are or what you are doing, tell them you are busy building a new posidigm. Brick by brick, thought by thought, action by action, it is coming into view. Love and positivity must win, my friends, for humanity to move forward. If there is no light, we must be the light. This article originally appeared on SelfGrowth.com in 2009.